The National Conference of State Legislatures (NCSL) designated December 4-8 as Legislative Staff Week. NCSL's staff section of librarians, the Legislative Research Librarians, is a tight group. Legislative librarians around the country use the listserv nearly daily to gain insight into other states' processes and gather state-by-state legislative information on behalf of legislators and staff in their own state. The legislative librarians' group has a long history--even longer than NCSL. An NCSL guide summarizes: "The impetus for LRL came from librarians who began meeting informally at the National Legislative Conference's Annual Meeting in 1968. In 1975, when NCSL was established, LRL had already been together for seven years. In 1978, LRL adopted bylaws and became an independent NCSL staff section." Legislative libraries also have a long history. Charles McCarthy was a college football star who was hired as a state documents librarian by the Wisconsin Free Library Commission in 1901. McCarthy’s vision far exceeded the role assigned to him and he immediately began providing extensive assistance in obtaining information legislators needed. His service vision was a radical departure from the more traditional vision of libraries that focused more on collections. While he actively pursued a wide range of materials, especially current newspapers and magazines, the services he provided, including bill drafting, were heavily utilized and greatly appreciated by Wisconsin legislators. For more information, read this article about Charles McCarthy in State Legislatures or an article about the Minnesota and Wisconsin legislative libraries in Jottings & Digressions. One group of legislative staff has an even longer history--the American Society of Legislative Clerks and Secretaries was established in 1943. Most of the eight other staff sections were established in the mid-1970s. The legislative librarians have come to Minnesota twice in recent history. 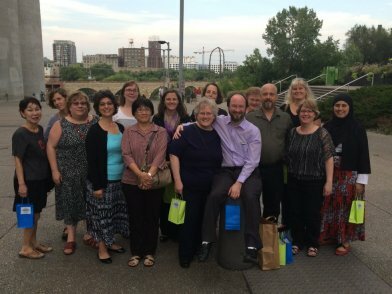 The Minnesota Legislative Reference Library hosted the NCSL Legislative Research Librarians professional development seminar in 2009 and also hosted the librarians as part of NCSL's Legislative Summit in Minneapolis in 2014. The Senate’s annual Fiscal Review is one of the most heavily used publications in the Legislative Reference Library. The Library’s paper copies are lovingly worn and the digital archive, reaching back to the first publication in 1975, is an invaluable resource. The 2017 Fiscal Review is the 40th edition, but you can’t quite call this an annual publication. It wasn't published in 2004 for reasons that are a mystery. And anyone who can recall the state's financial situation in the early 1980s will understand why there was just one published for the years 1981-1984 with a revision published the next year. Extreme budget shortfalls required two regular sessions and six special sessions in one biennium to resolve. 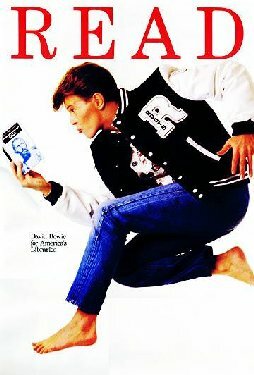 Librarians always start with the 1981-1984 edition when asked questions about this complex period of budget crisis. To celebrate the recent release of the 2017 edition of Fiscal Review, the office of Senate Counsel, Research and Fiscal Analysis invites you to the satellite office of the Legislative Reference Library (3238 MSB) on Wednesday, September 27th at 10:30 am. Doughnuts will be served! What's the Library's Role in the Legislative Process? The Minnesota Legislative Reference Library would like to give a special thanks to the Senate Media team for choosing to feature the Legislative Reference Library (LRL) on the Senate’s Capitol Report program. They explored the library and spoke with librarians, seeking the uniqueness of the LRL’s services and collections. The resulting video introduces the viewer to the library and to the role it plays in the legislative process. Since its establishment in 1969, the library has been the depository of reports mandated by the Legislature. The LRL is also required to identify and collect reports and publications produced by state government offices, and houses important legislative records including committee minute books. 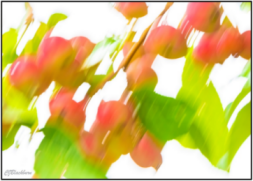 Our website links users to a wealth of information. From historical data to current events, our print and electronic collections—the premier Minnesota public policy collection--provide a permanent historical record of Minnesota’s state government. The LRL staff’s primary focus is the information needs of legislators and legislative staff--and the specialized services we offer to help them keep up with ever-changing issues. 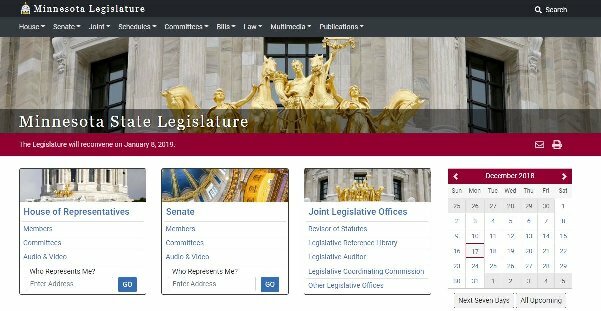 While the Legislature is our priority, the Legislative Library and its unique collection, services, and website are available to all Minnesotans and are used by people around the state and country. Each day, experienced, knowledgeable librarians receive numerous questions, some simple and others challenging; we direct users to information resources; we connect people to other agencies and organizations; we dive into Minnesota’s history and follow breaking news on Twitter—all part of the effort to provide the best service we can, to successfully fulfill our role in the Minnesota legislative process. The video about the LRL, along with many other informative and educational Senate Media productions, is posted on YouTube as a part of its Capitol Report program and their Elements of Democracy Playlist. Since 2004, all Minnesota House and Senate hearings and floor debates have been digitally recorded and archived. Researching legislation prior to 2004 requires a trip to the Minnesota Legislative Reference Library (LRL) or to the Minnesota Historical Society (MHS)--or both--to listen to audiotapes. But soon that will change! 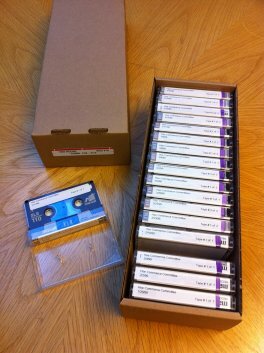 In 2017, the Minnesota Legislative Reference Library received an appropriation to digitize 28,000 tapes of legislative committee hearings and floor debates. The Library is seeking proposals by July 14, 2017 for the digitization of the audiotape collection. Further details are available in the request for proposal. The House and Senate began recording all committee hearings and floor sessions in the mid-1970s. The tapes were collected by LRL and, when space became an issue, older tapes were gradually transferred to MHS. By the early 1990s many of the tapes were deteriorating and a number of years of tapes were destroyed. The Minnesota Historical Society can no longer accommodate the 18,000 tapes currently housed there and began making plans several years ago to return the tapes to the Legislative Reference Library. The 2017 appropriation allows the digitization of all existing legislative hearing and floor debate tapes. Digitization of these auditotapes will make the primary records of the Legislature accessible to anyone at any time and preserves these recordings into the future. A question legislative librarians are often asked in the waning days of legislative sessions is, "Can the Minnesota Legislature pass bills on the final day of a regular legislative session?". And each year, we research the question yet again to make sure we are providing the correct answer. Minnesota's Constitution, Article 4, Section 21 states in part, "No bill shall be passed by either house upon the day prescribed for adjournment." 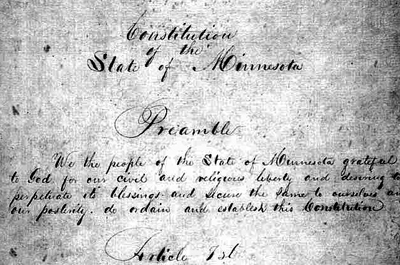 When that section of the constitution was written, the constitution also established that the Minnesota Legislature would meet in regular session in odd-numbered years. With a single-year session, the "day prescribed for adjournment" was apparent. Things changed in 1972 when Minnesota voters approved a proposed constitutional amendment to establish flexible, biennial sessions. (Minnesota House Public Information Services published an informative article in 1991 about the history of flexible sessions in Minnesota.) With the inaugural biennial legislative session in 1973/1974, for the first time in state history there was a "final" day in the first year and a "final" day in the second year. Were both days considered the "day prescribed for adjournment" per the state constitution? Or was the final day of the second year the official adjournment day? The question was answered by the Minnesota Supreme Court in its 1974 decision, State v. Hoppe: "... May 21, 1973 was not the day of final adjournment ... but was merely a temporary interim adjournment during the unitary biennial legislative session". One final note. Since the advent of flexible sessions, the Legislature has met in regular session in each year of the biennium. But Article 4 Section 12 of the state's constitution does not mandate yearly sessions. It's possible that some future legislature will meet only one time during a biennium and that there will once again be a single, final "day prescribed for adjournment".